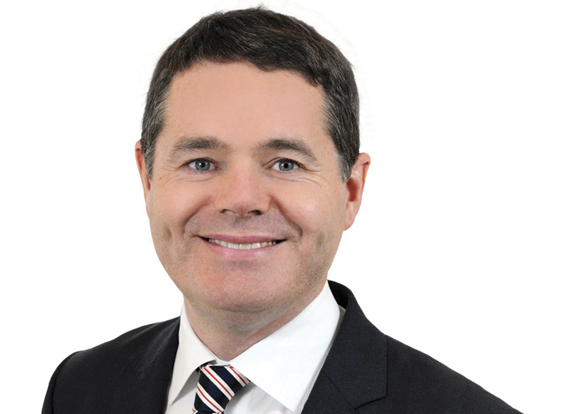 Paschal Donohue, Minister, Department of Finance, Ireland. In his second budget as Minister of Finance Pascal Donohue in the Dail on October 9, spending plans totaling €66.5bn for the coming year. €59.3bn of that will be on current expenditure and €7.3bn on Capital spending. He said that €110 million has been earmarked for Brexit measures and that while the government remained optimistic that a deal could be done, the possibility of a no-deal Brexit had influenced decisions. He added that Ireland will remain open to world and heart of EU. Cigarettes, social payments and the minimum wage are to increase Excise duty on a pack of 20 cigarettes will bring the price up by 50 cent. This will bring the standard price to around €12.70. As suggested before, social welfare payments have increased by €5 while the 100% Christmas bonus payment to all social welfare recipients will be fully restored. The hourly minimum wage will be increased to €9.80 and the weekly threshold for the higher rate of employer’s PRSI will be increased from €376 to €386. An additional €84 million will be put towards Mental Health Services, marking an increase of 9%. There’s an increase of €1.05 billion in health funding for 2019 bringing the health budget to an overall of €17 billion. With regards to affordable housing, Minister Donohoe said that the Government are increasing the planned funding from €20 million to €89 million in 2019. This is expected to facilitate the delivery of around 6,000 affordable homes. €1.25 billion for the delivery of 10,000 new social homes has also been allocated while an extra €30m has been assigned for homeless services. Donohoe also announced that parents are to receive two extra weeks’ paid leave to every parent of a child in their first year. Elsewhere, the 9% VAT for hotels, restaurants and hairdressers will rise to 13.5%, while €35 million will be added to the Transport and Tourism departments. €10.8 billion has been allocated to the Department of Education and Skills, with an extra 950 Special Needs Assistants to be implemented in schools next year. In business and enterprise, the 12.5% corporate tax rate will not be changing. As of midnight tonight, an Exit Tax will apply at a rate of 12.5% for any company that aims to move their assets offshore.